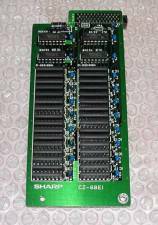 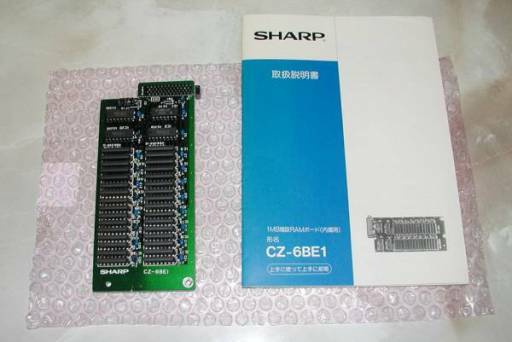 CZ-6BE1 is a genuine SHARP internal 1MB memory expansion board for the first generation X68000. 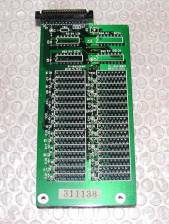 This board is not compatible with ACE, PRO or PROII due to different mounting positions. 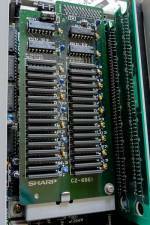 With it the X68000 can be expanded to a total of 2MB and after that it is possible to expand the memory even further with I/O slot memory expansion boards like PIO-6834-2/4M-1 or SH-6BE-2/4M-1.